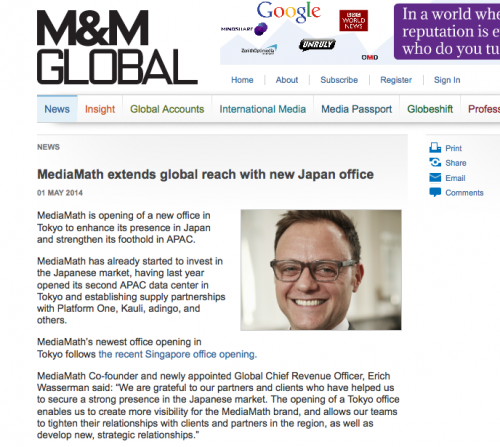 MediaMath is opening of a new office in Tokyo to enhance its presence in Japan and strengthen its foothold in APAC. MediaMath has already started to invest in the Japanese market, having last year opened its second APAC data center in Tokyo and establishing supply partnerships with Platform One, Kauli, adingo, and others. MediaMath’s newest office opening in Tokyo follows the recent Singapore office opening.